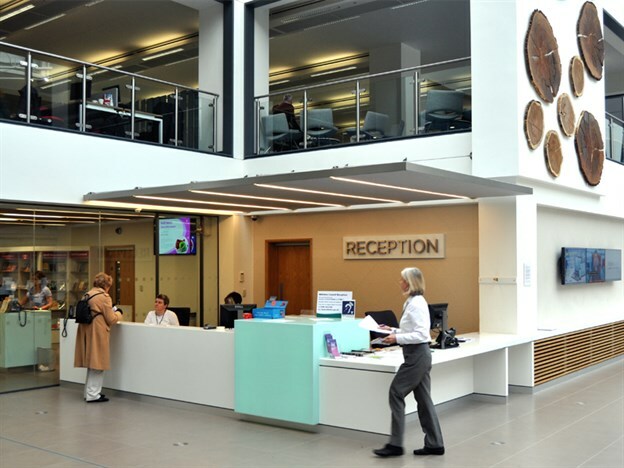 We installed two cantilevered acoustic reception canopies in the atrium at Trowbridge County Hall. 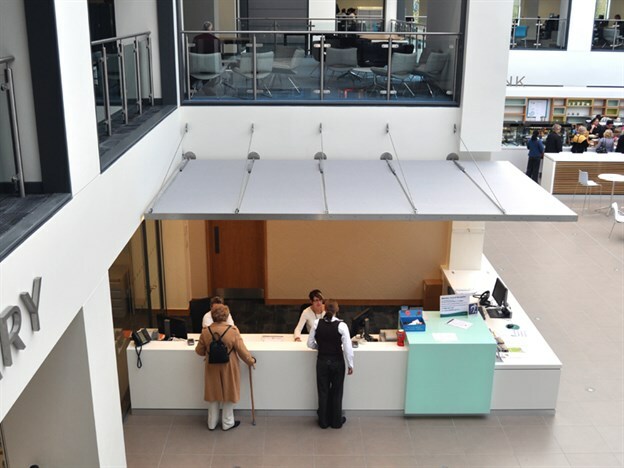 The canopies, primarily developed to shade the reception staff from the sun above, also needed to perform acoustically - as the reception sits within a large open plan public atrium and was a very noisy space. The resultant design, is a sandwich make-up, comprising a visual skin on the top and bottom, with an acoustic foam layer between. 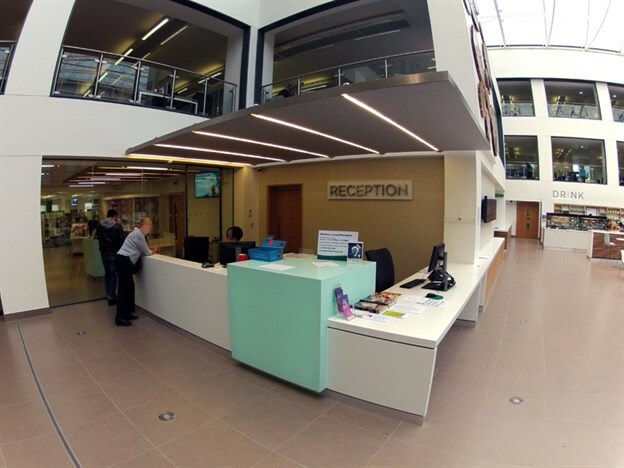 The canopy also has to incorporate lighting, which was precisely accounted for between the aluminium extrusion rails. 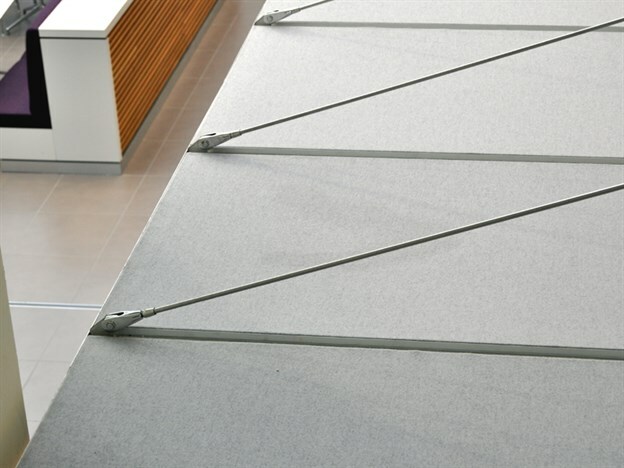 The canopy cantilevers from the rear walls in both cases so visual fixings are kept to a minimum. 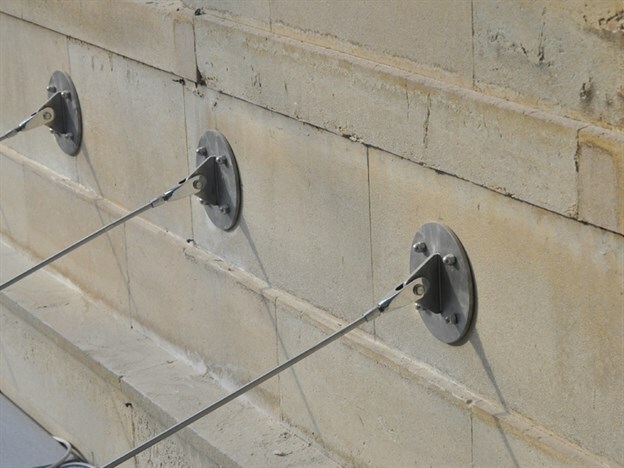 The project lead time was around 7 weeks, with the installation taking 2 days.